Chalk has proved to be one of the more difficult rocks to core-log as it breaks up readily during the drilling process leading to core-loss and destructuring, particularly where flints, nodular chalks and/or fractures are present. One of the greatest difficulties is the identification of chalk engineering grade which relies heavily on fracture aperture. Obtaining the correct grade to define the depth of weathering and the depth at which fractures become closed is essential whether for tunnels in London or for wind turbine piled foundations in the offshore chalks. Very few geologists and engineers have had the opportunity to study field sections in the Chalk so there is little visual appreciation of the grades or the variation to expect or even what flint bands look like. To partly overcome this difficulty, both field and core sections are illustrated in this book. Equally important to recognising Chalk grade is the building of conceptual ground models for construction projects. This can only be achieved if the various Chalk formations, beds and marker beds can be identified from cores and then boreholes correlated using the marker beds. The Chalk stratigraphy is accordingly covered with key formations and marker beds illustrated, and the best field sections for viewing them identified. This book is based on the standard lithostratigraphy and method of engineering description of Chalk developed over many years. Also important are over 3000 onshore and offshore chalk-cored boreholes undertaken by the author over more than 30 years. In addition, typical lithologies and weathering profiles representing the Chalk formations likely to be encountered in the various onshore and offshore construction projects are illustrated using field exposures, rotary core samples and geophysical borehole wire-line logs. There will be geological settings where information on the Chalk is poor and unexpected lithologies and stratigraphies may be found. This book will enable geologists to work from first principles to construct a lithostratigraphy and define weathering boundaries. 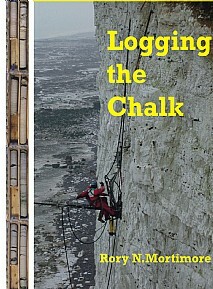 This will be a vital manual and reference for practising and academic geologists, geotechnical engineers, hydrogeologists, petroleum geologists and civil engineers, students in these disciplines and anyone with an interest in the Chalk.